You know on Top Chef, when they have a "quick fire challenge" and the chefs have to come up with a dish in a limited amount of time, with limited ingredients? When I haven't gone grocery shopping in a while, making dinner feels like a quick fire challenge. There's a random collection of food in my fridge, and only so much time I'm willing to dedicate to cooking dinner. 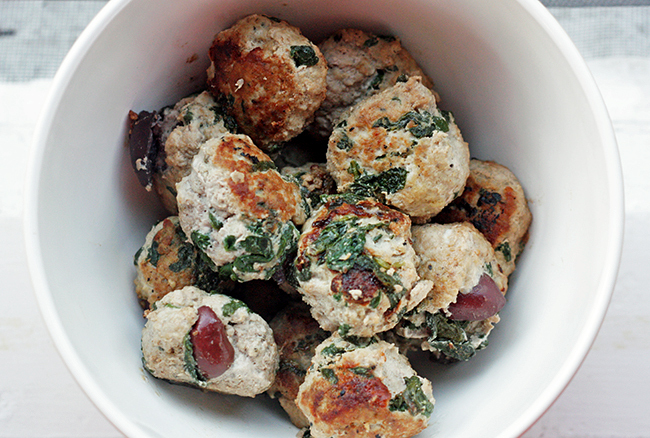 I whipped up these delicious little morsels last night, when I had a modge-podge of ingredients in my fridge. 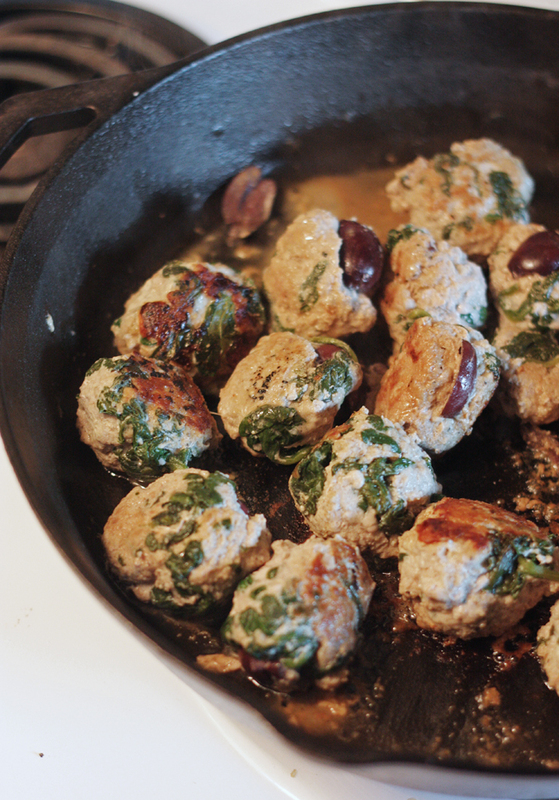 Why have I never put olives in meatballs before? Ahhh, so good. 1. Cook spinach on medium heat until it cooks down. Place in large bowl. 2. Mix in raw ground turkey. Cut olives in half and stir in. 3. Add egg yolk, and bread crumbs. 4. Add seasonings to taste. Stir. 5. Wet hands, and form mixture into balls. Place onto heated and oiled skillet. Let cook until brown, and then flip. Add a little water and cover. Let cook for about 5 minutes. Flip again to make sure they cook evenly. 6. Eat! I used mine for spaghetti, but they would also be delicious inside a pita or on a salad! Those look great, I want to try them! New follower! These look amazing! I LOVE spinach (as does my fiance, who--like a giraffe--is satisfied with eating the leaves by themselves). My mom can't eat red meat, but she can have some chicken and turkey. I'd love to make these for her sometime!